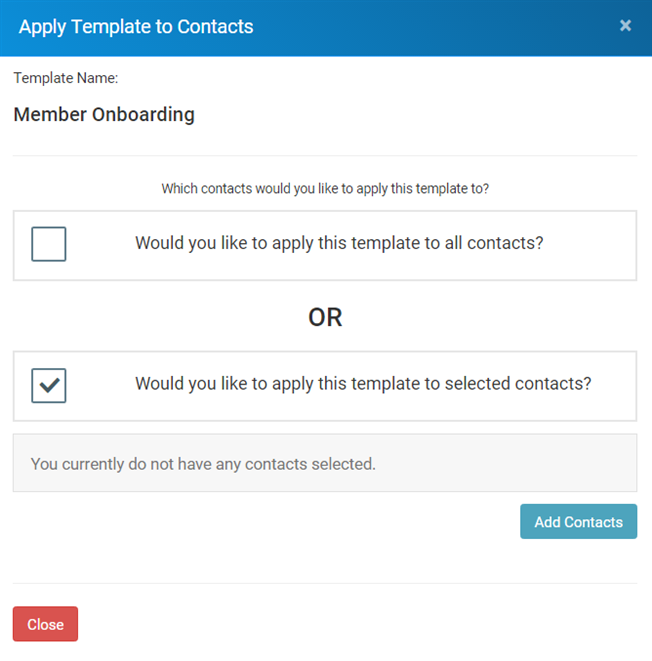 As covered in the initial Task List Setup article, you can set task lists to be automatically applied to any new contacts that are added to your system. 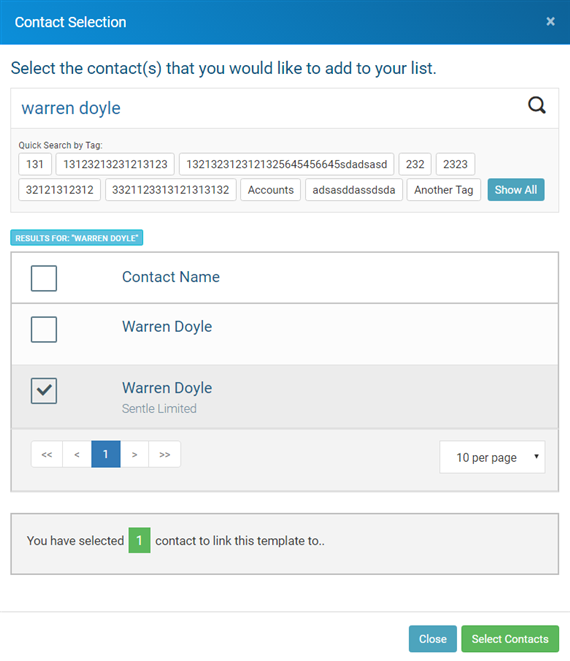 Alternatively, you can assign task lists to existing contacts via the following steps. In the Task List setup view you will see the following button which can be used to select contacts. 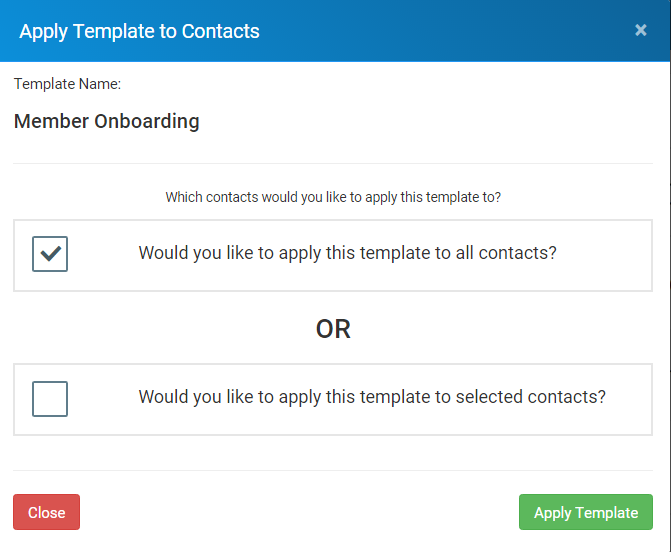 As shown here, use the top check box to add this template to all contacts. Sentle will work in the background and add the template to all of your contacts. This may take a few minutes dependant on the number of contacts you have in your system. A progress chart is available in the main Task list view. 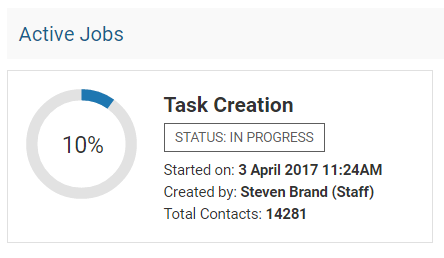 When the required contacts have been added, use ‘Select Contacts’ to apply the task list template to them.